At long last, the wait is over. No more frantic digging through spotify playlists to find your next favorite song. No more agonizing reads of pretentious Pitchfork album reviews to find the hottest new tracks. No more listening to the radio (then deciding to turn it off because they just play the same junk over and over). No. Your March Music Horoscope has arrived. Why is it two weeks late? one might ask. Good question; I don’t have a satisfactory answer. However, as a token of gratitude for sticking with me I’ve included a special surprise at the end. Enjoy! Aries had a difficult time last month, to say the least. In the midst of trying to organize their hectic lives Aries motivation and focus took a huge dive, allowing their work and social obligations to become more overwhelming. As a reaction to this, the normally fiery and passionate Aries settled into an unusual slump. Historian, the new album by up and coming indie rock artist Lucy Dacus, sympathizes with Aries in its darker moments while providing hope in answer to the anxieties of contemporary life. Many of the songs explore the struggle to find identity and meaning in life, but these more intense contemplations are always tempered with a hope for the future. Add to this the grand sweeping production of many of the tracks, and the result is a somber yet reassuring listen that will help propel Aries into better days. Tauruses really settled into their groove this month. Following February’s focus on relaxing and letting go of tension, March saw this relaxation realized as Tauruses found themselves taking more time to recharge, receiving input from others with grace, and following a sustainable rhythm of working and resting. The debut full album from British indie pop band Fickle Friends, You are Someone Else, is a fun 80’s pop throwback that perfectly complements Tauruses renewed flow. The album features a lot of upbeat tracks and catchy bass lines, great for getting amped for the day or staying motivated while working. With its varied selection of groovy synth pop songs, You Are Someone Else, is a great listen for Tauruses wanting to stay positive and motivated. March was a difficult month Geminis to remain passionate about their interests. Though February saw Geminis incorporating more practicality into their lives, March brought with it some stagnation in creative endeavors. Whether it’s senioritis, boredom, or a lack of direction, Geminis have been losing some of their motivation to achieve long-term goals. Yesterday was Forever by pop punk soloist Kate Nash is a zealous cry motivating listeners to take charge of their lives and assert their own identities. Nash’s sassy vocals and wordplay coupled with pop influences from the 80’s and 90’s and an eclectic use of acoustic and electric instruments make this album a rousing listen. Yesterday was Forever is sure to give Geminis a boost for the weeks ahead. March saw Cancers continuing their exploration of their interests by embarking on new projects. Though often temperamental and prone to indecision, Cancers found clarity of vision this last month and started channeling their creativity to great effect. The latest album from veteran indie rock band Guided by voices, Space Gun, is a wonderfully weird lo-fi album sure to inspire Cancers’ creativity. The whimsical imagery evoked by the album’s vocals and the great musicianship of the band’s members make for an engaging and often surprising listen. An album with a lot of passion behind it, Space Gun is a great choice for Cancers looking for inspiration for their own passion projects. Leos shifted their focus drastically this last month. While looking backward for nostalgic reassurance in February, March saw Leos cast their gaze forward to long-term goals and plans. While regaining a sense of purpose and drive for the future, this preoccupation with larger life decisions left Leos unsure about how to handle themselves day to day, obsessing over things yet to come. The new self-titled album by alt pop group The Neighbourhood is a slower, melancholy album that reflects Leos anxieties about the future. The slow, layered mix of synth and acoustic lines create an atmospheric listen fitting for anyone looking to contemplate and refocus. The Neighbourhood is great sympathetic listening for Leos pondering their futures. While Virgos had relative ease navigating their work and social lives in March, the last month saw them come to terms with their own personal insecurities. Though Virgos often appear confident and unattached, they often have trouble addressing the parts of themselves they don’t feel great about. March was the time to do just that, as Virgos decided to address their flaws. Clean by alternative artist Soccer Mommy (a house favorite here at SPECK media) is a brutally honest take on contemporary American life and the tribulations faced by young adults. With a fairly minimal production and simple, clear vocals, Clean embodies the idea of stripping off the frills to find something brutally honest, a sentiment shared by Virgos this last month. As Virgos continue to better themselves though honest self reflection, they would do well to give Clean a listen. Libras saw substantial improvement in their relationships this past month. As a sign that is fulfilled when they achieve a good work-social life balance, Libras found gratification in strengthening ties with peers in all aspects of life, whether it be collaborating effectively at work or reconnecting with a old friend. Staying at Tamara’s, the newest album by singer-songwriter George Ezra, is a sweet, relaxing acoustic album centered around enjoying life with loved ones. Ezra’s distinct, rich vocals and the pleasant tone of most of the tracks make this an easy, heartwarming listen. Whether hanging out with friends or reminiscing about good times, Staying at Tamara’s is an uplifting album and a fitting complement to Libras social successes. While having seen a lot of success in completing their daily goals, Scorpios encountered a big creative block to their passion projects in March. Normally artistic and imaginative, Scorpios this last month had a lot of trouble making headway in the creative fields that so often inspire them. I'll Be Your Girl, the latest album from alternative band The Decemberists, is an eclectic, thoughtful album… The album runs the gamut of tone and instrumentation, with songs ranging from playful and satirical romps to grandiose ballads to simple love songs all while straddling acoustic and electric sounds with ease. Though Scorpios have been having a hard time working through their creative blocks, I’ll Be Your Girl may just offer the variety and energy needed to make some headway. After a tumultuous start to the year, Sagittarians have finally found some room to breathe. Though Sagittarians experienced a lot of difficult transitions and changes over the past few months, they are now starting to find a comfortable rhythm for tackling life and taking an opportunity to pause and regroup. The second album from alternative group Sunflower Bean, Twentytwo in Blue, is a laid-back album with a retro sound that perfectly mirrors Sagittarians desire to take a pause. With many of the tracks’ lyrics centered around living in the moment and the smooth blending of harmonies and stripped back instrumentation, this album is pleasant, reassuring, and easy to listen to. 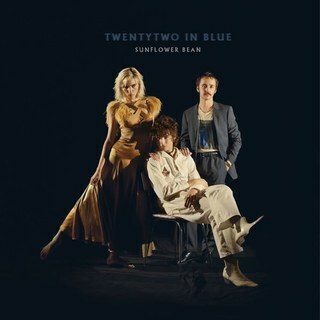 Twentytwo in Blue is a fun, breezy album and is a great choice for Sagittarians looking to relax. Capricorns were hit with a lot of uncertainty this past month. They faced big transitions and life changes which shook up their normal working routine. In order to cope with this, Capricorns have relied upon their trademark tenacity to push through this ambiguity and buckle down to work. Combat Sports, the newest release from indie rock band The Vaccines is a defiant, high-powered punk-ish album that mirrors Capricorns’ fighting spirit. Featuring grungy production, clever lyricism, and driving bass and drum lines, this album is a force to be reckoned with. As Capricorns continue to roll with the changes and persevere, Combat Sports is a great listen to reinstill their signature fighting spirit. This last month Aquarians gained a lot of self confidence. By doing the things that they loved and surrounding themselves with supportive people, Aquarians developed their positive self-image in March and increased their productivity by doing so. 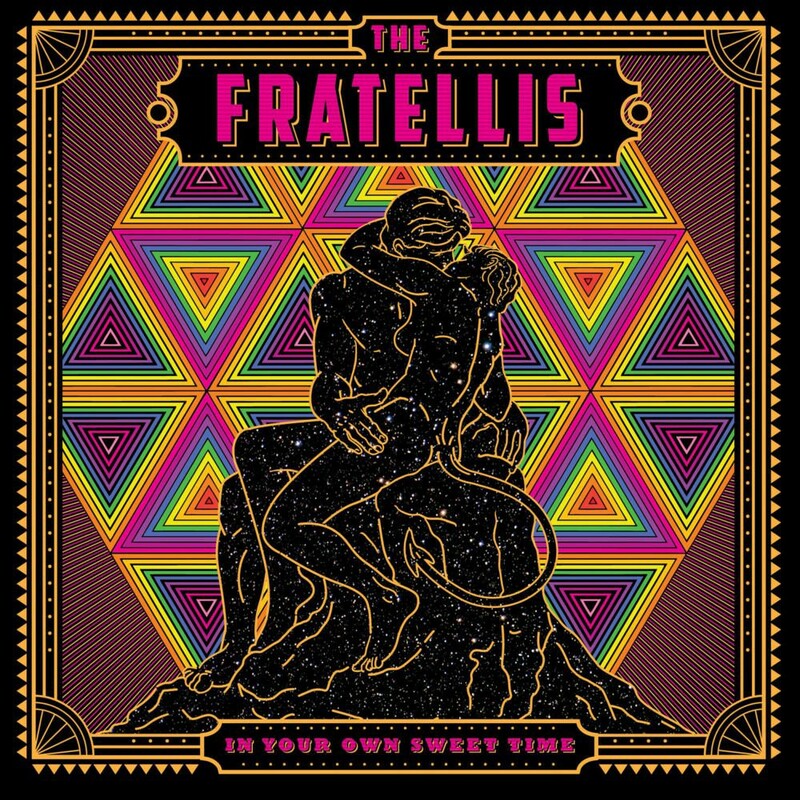 In Your Own Sweet Time by alternative group The Fratellis is a quirky, playful, unapologetic album that revels in its own fun. The album’s witty lyrics, varied instrumentation, and buoyant guitar riffs make this a really enjoyable listen and a perfect pairing with Aquarians’ self-assurance and optimism. In Your Own Sweet Time is an entertaining romp sure to uplift and amuse Aquarians as they venture boldly forth. March was a great month for Pisces to buckle down and make headway on their projects. When Pisces achieve good work flow, they can get a lot done; this last month that was certainly the case. 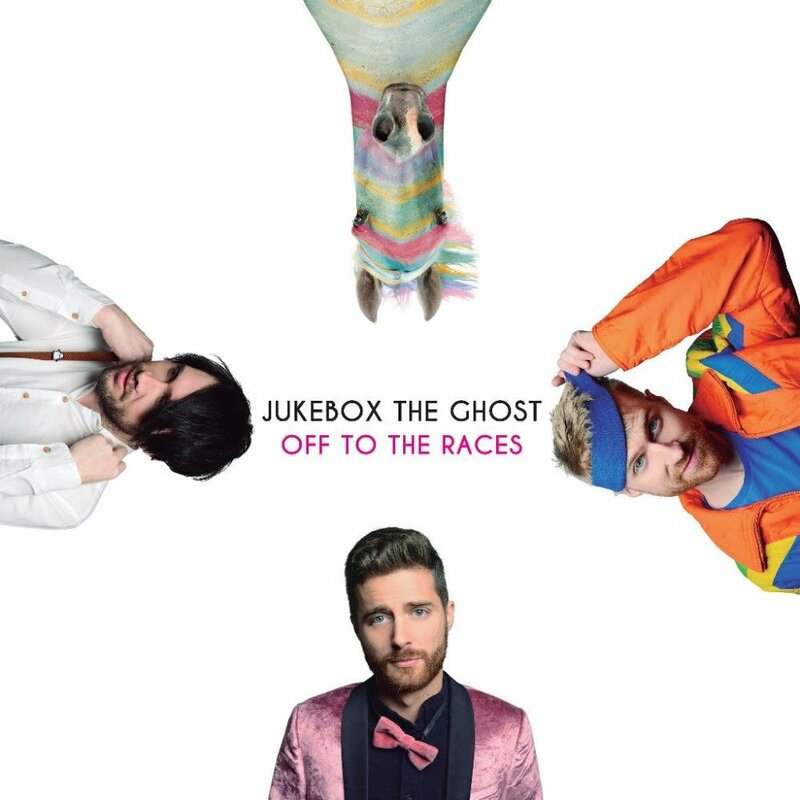 Off to the Races by indie pop band Jukebox the Ghost revamps its playful glam rock and retro pop motifs in a flashy, upbeat album that reflects the energy Pieces embodied this past month. With several insanely catchy tracks (Jumpstarted is my favorite song of the month, I seriously can’t get it out of my head) and a bombastic and layered production, this album is a great way to kickstart any project. As Pisces continue to work hard and develop their passions, they’ll certainly find lots to love in Off to the Races.